I wore this to a business group. 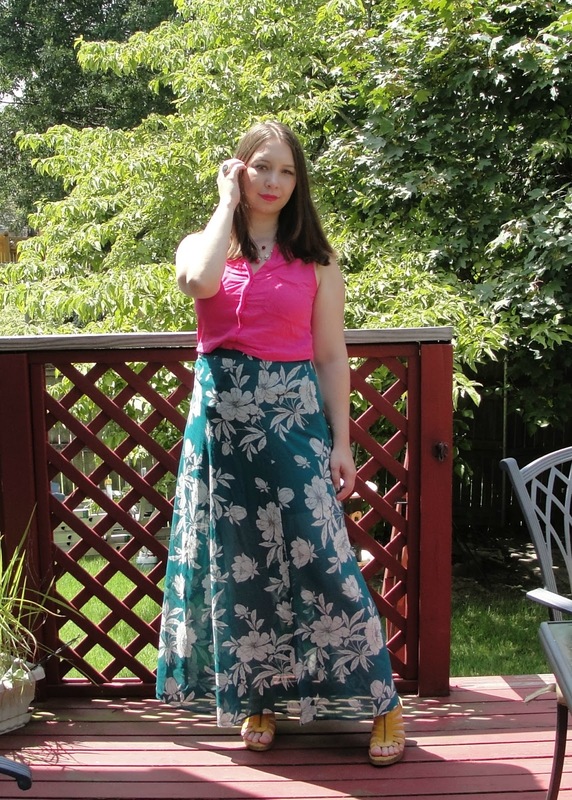 It was just so hot I thought a maxi skirt would be the most comfortable. 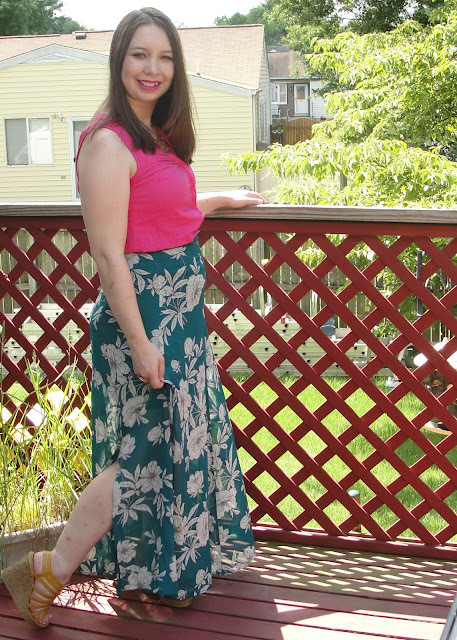 I like pairing pink with this skirt because the pink really stands out. I adore the mix of colors and that print is gorgeous! Beautiful summer look! I definitely find dresses as skirts most comfortable when it's warm and I want to look put together. Lovely on you! I love the colors in this look--the pink really does pop with that pretty skirt!